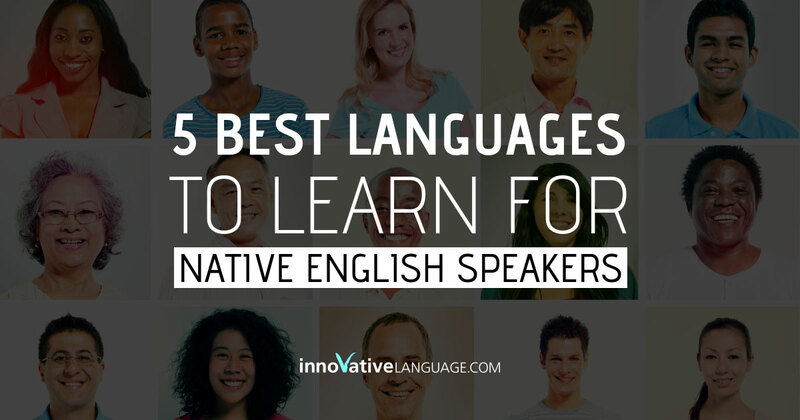 Wondering what are the best languages to learn as an English speaker? In fact, learning a new language is more than just a plus to your curriculum vitae (CV). According to a study conducted by Pennsylvania State University, bilingualism helps learners build great multi-tasking skills by switching between different structures in a short amount of time when using more than one language. Also, statistics have shown that students who speak several languages tend to score better on standardized tests than their unilingual peers. The benefits mentioned above are just a drop in the ocean of what multilingualism can bring you. There are countless mental, health, and even financial perks that come with learning a second language. Based on the level of difficulty and the political, economic and cultural significance of each language in today’s world, I have put together a list of the five best languages to learn, along with some great beginner’s resources. The well-known language company Duolingo recently shared an article on which countries study which languages. The article also contained data obtained from its 120 million users. Below is a map that portrays the most popular language studied on Duolingo in each country. 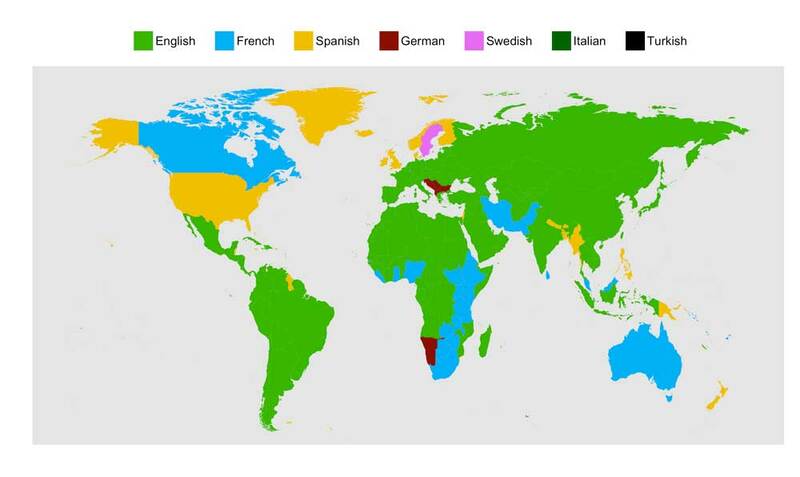 As you can see, Spanish is the second most-learned language in the world after English. In fact, Duolingo’s analysis states that Spanish “is studied by 17% of all Duolingo users,” making it the second most-learned language in their app. Well, the answer is simple: with a population of around 440 million people, Spanish is the second most natively spoken language in the world. It is also the official language of 20 countries on the American and European continents. The best part? For most English speakers, Spanish vocabulary is not rocket science. Both languages belong to the Indo-European language family, which led to the cross-fertilization of words and idioms between Spanish and English. Therefore, if you’re looking for an easy, in-demand language to learn, Spanish is probably the best option for you. Considering the fact that it is the official language of some of the most developed countries in the world, learning German can open up great opportunities for you. Recently, German became the third working language of the European Union. Following Brexit, many indicators show that English will have less importance in the European Union—which will leave more room for German to take over in Europe. Also, the recent refugee crisis has drawn a lot of attention to Austria and Germany, making German a useful language for everyone interested in following new, related political events in Europe. Moreover, learning German will allow you to access a huge database of intellectual and scientific content, improve your career, and discover the German culture and people. Because German is also an Indo-European language, many of its vocabulary words match their English equivalents. Therefore, you will most likely be able to strike up intermediate conversations in German after a few months of learning it. Because Japan has the third largest economy in the world with a gross domestic product (GDP) of almost five trillion U.S. dollars, it is one of the most popular and arguably important countries in the world. With a Japanese-speaking population of more than 127 million people, many prefer Japanese to other languages. In fact, the number of Japanese learners has dramatically increased in the last few decades, as Japan is drastically developing. In addition to economic growth, Japan is also a culturally rich country. Learning the language will allow you to watch new animes and movies, learn more about martial arts, keep up with technological developments, and find new travel gems in Japan. With a Mandarin-speaking population of over 900 million people, China’s official language is set to be one of the most (if not the most) important languages in the world in the next few years. China’s excellence in important fields including agriculture, academics, travel and business helps globalize its often misunderstood culture and language. In 2010, the state press agency Xinhua estimates that 750,000 Chinese-as-second-language learners from all around the world have taken the HSK Chinese Proficiency Test. Only four years later, CNTV reported that over five million people took the same test throughout the year. Considering these statistics, we can securely say that the demand for Mandarin speakers in the world is at its peak - and, as the data confirms, it’s not going down anytime soon. According to the United States Foreign Service Institute, Chinese is one of the most time-consuming and difficult languages to learn for English native speakers. Bottom line? If you’re ready to invest hundreds of hours to learn one of the best languages, your time and effort will definitely pay off in any way you want it to. Due to the recent political instability in Arabic-speaking countries, and the huge growth Persian Gulf countries such as UAE and Qatar have recently had, Arabic is doubtlessly one of the best languages to learn. Political and international organizations are continuously seeking new Arabic language experts and translators to build a bridge between the organizations and the Arab world. An abundance of successful businesses are also breaking into the Arab market. In fact, many businesses are willing to hire Arabic speakers who are capable of helping them reach business goals and connect with target countries. Also, if you’re a business owner, an intermediary in Arabic will help to expand your knowledge of the Arab market and expand your entrepreneurial opportunities. Besides the business and political aspects, Arabic can also help you learn more about many culturally and naturally rich countries such as Egypt, Algeria, Jordan, Syria, Morocco and Iraq. Just like Chinese, Arabic is a difficult language that might require more time compared to some other popular languages. To speed up the learning process, I recommend learning a dialect first—which should not be hard—then progressively switch to Modern Standard Arabic by learning the formal language that is used in writing and official documents. Now that you’ve decided which language(s) to learn, what’s more important than taking action? Innovative Language is the go-to website for audio and visual language content. There you’ll have access to thousands of customized lessons made by real teachers in more than 34 languages, including the listed languages above. Based on your language level, Innovative Language experts will correct your assignments, assist you with all the aspects of language fluency, and answer any questions you have. Sign up now for free and start learning a new language today! Author: Yassir Sahnoun is a content strategist, writer, polyglot and co-founder of WriteWorldwide.